Problem: Increasing sales and the prospect of having to work overtime or put on an extra shift to meet production requirements is the kind of problem most chemical producers would like to have. Dexide, Inc., in Fort Worth Texas had this enviable problem with their anti-bacterial surgical scrub solution, Ultradex. Production of Ultradex requires first heating an aqueous synthetic detergent system to 140°F then adding a non-aqueous phase and agitating the mixture to form an emulsion. 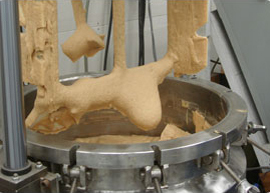 After the emulsion is formed, a powder containing the anti-bacterial ingredients is dispersed throughout the emulsion. The completed batch is then discharged to holding tanks pending quality control acceptance before final packaging. 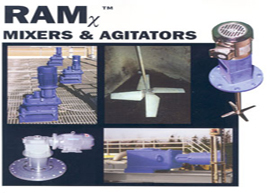 Using a conventional top-entering propeller agitator in the 400 gal batch tank, and gravity discharge to the holding tanks, operation of the system for five shifts per week was no longer adequate to meet production needs. Solution: Several approaches to increasing production capacity were examined. Operating the system with over-time or adding a second shift was considered the least desirable due to increased labor costs. 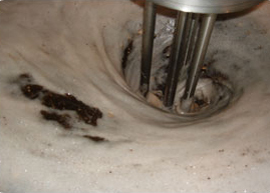 Another method considered was to install a top entering homogenizing mixture in the existing tank to reduce the time required for emulsification and dispersion, plus adding a transfer pump to more quickly move the batch to the holding tanks. This method was more desirable than adding labor, but would require two new pieces of equipment plus substantial additional power requirements. The method selected for stretching the system capacity was the installation of an in-line dispersion grinder pump that provides all the necessary process functions of emulsifying, dispersing and pumping in one unit. The installed cost and total power consumption were both about half that of providing both a homogenizing mixer and a transfer pump. 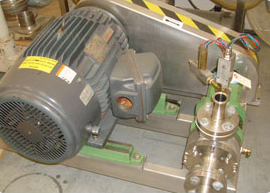 The dispersing grinder pump recirculates the materials in the tank to provide mixing, emulsification, and dispersion. 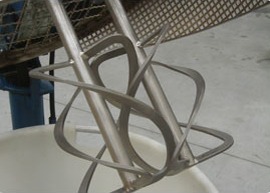 When the batch is completed, the dispersing grinder pump discharges the finished material to the holding tanks. Results: Operation with the in-line dispersing grinder has increased production capacity over 30% without any additional product labor. 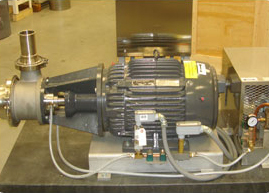 The unit was installed for about 25% less than installing both a homogenizer and a transfer pump, and operates at 50% less horsepower. Since installation in October, 1982, only routine preventative maintenance has been required. 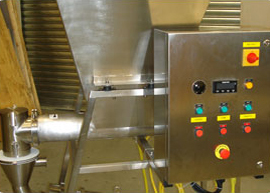 Also, the unit has improved product quality through better emulsification and more uniform dispersion.